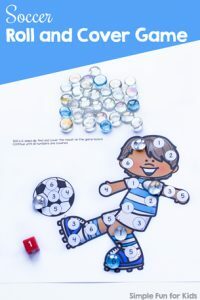 It’s day 3 of the 7 Days of Easter Egg Printables for Kids series! 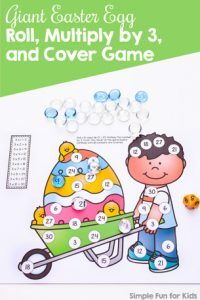 Yesterday, I shared an Easter Egg Matching Game for Toddlers, and today, I have a game for slightly older preschoolers and kindergarteners: Easter Egg Hunt Roll and Cover Game! One sheet of heavy paper. 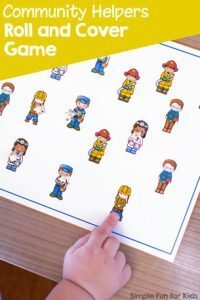 The free file includes one game board in color. 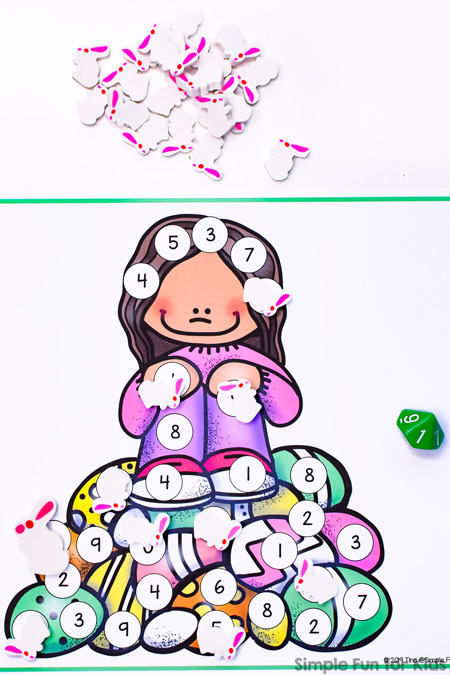 It shows an image of a girl sitting on top of a big pile of Easter eggs with circles with numbers to cover after rolling a 10-sided die. 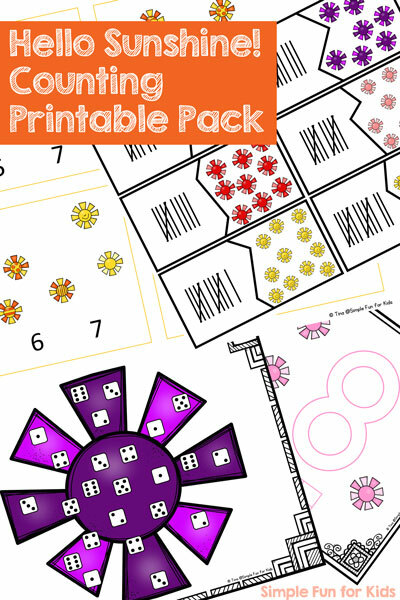 The game board needs no special preparation and can be used right after printing it out. Of course, lamination always adds to the lifespan of any printables. If you need a different font and/or black and white versions, you can get all of that in the VIP file. You get the ability to download it instantly when you become a VIP member (this also allows you to download the entire 7-day series with one click) or when you buy it separately in my shop. 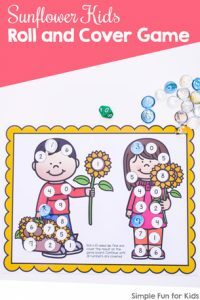 Download your free Easter Egg Hunt Roll and Cover Game! Or click here to see this page on my membership site, become a VIP member today, and download the whole series in one click! My Eggs Everywhere! 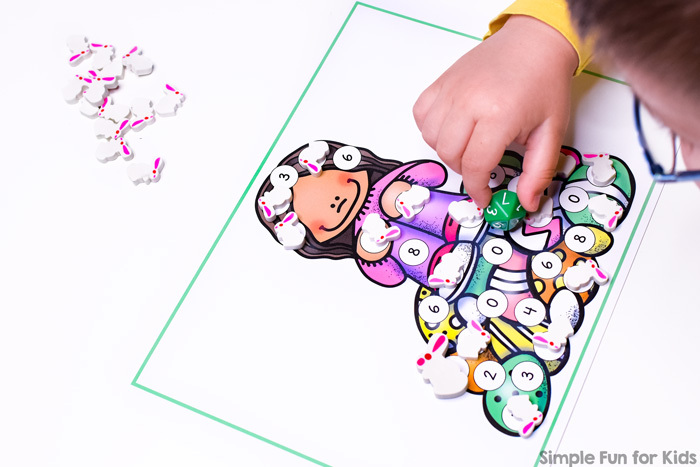 Emergent Reader uses the same set. 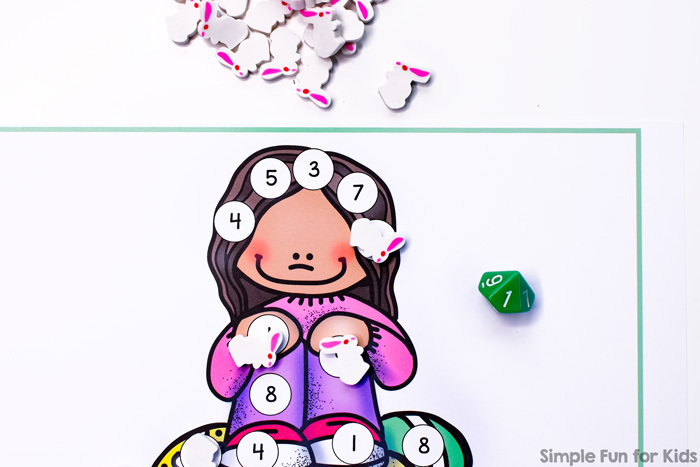 Are you looking for more roll and cover games?